Tuesday night marks the 7th time two Arkansas chefs go head to head to determine who will carry the Diamond Chef title another day. Kat Robinson takes a look back at previous contests, and shares why these events are important to the culinary scene. I missed the very first Diamond Chef. I'll be the first to admit that. I mean, it was before my Eat Arkansas days, and right after I'd become a full-time writer, and I wasn't on anyone's radar to invite anyway. Besides, I had just returned from a ridiculously long trip to Las Vegas... but that's all behind us now. No, it was 2009 before I was able to be on-hand for the preliminaries. I remember getting the invitation and wondering what I'd see. You see, I've seen a whole lot of the original Iron Chef out of Japan, and my mind swirled with ideas of a chairman growling challenges at eager culinary masters. It wasn't like that. It was an event held in the lobby of the (then) Peabody Hotel, two chefs at a time competing against each other with portable burners, pulling stock from a rolling fridge while patrons watched and drank pretty bar beverages. That being said, it was intense, and I thrilled in the fun. For someone just really getting excited about writing about food, this was a pretty damn cool thing. It wasn't just the writing, though. I was genuinely excited about the idea of cooking for competition. You see, I've done a bit of that in my time. As I've mentioned before, I have this hobby... I'm a 23 year veteran of the Society for Creative Anachronism, which works to preserve the Middle Ages "as they should have been." 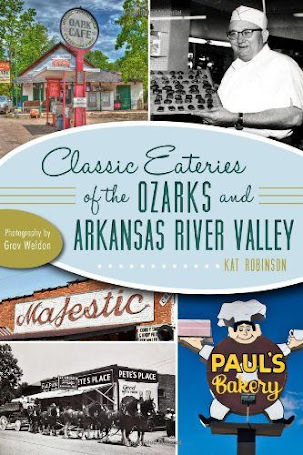 It's where I really discovered my love of cooking -- especially for crowds -- and where I learned to research and redact period recipes and cooking methods. And within that hobby, I've had the opportunity to compete against others in a head-to-head competition of this sort. Yes, that's me to the left. Don't judge. Thing is, Diamond Chef is a way not only to let these great local chefs go head to head -- it's also a way to garner interest in something really special. Each year the crowd has grown for the event, as our chefs have improved and taken each other on in the spirit of friendly competition and helping others. But there wouldn't be a Diamond Chef without the Arkansas Culinary School, and without it we wouldn't be educating a great group of culinarians. Seems we've come very far in a very short period of time. In fact, it wasn't until 2006 that Pulaski Tech began this program (its roots, of course, being with the American Culinary Federation Apprenticeship Program in 1995). Its first round of students came in as the state was first re-awakening to its own culinary roots - and now the chefs that are ready to proceed into the restaurant and catering fields are embracing those traditions and that of the chefs who have taught at this esteemed institution to forge a new Arkansas hybrid cuisine. 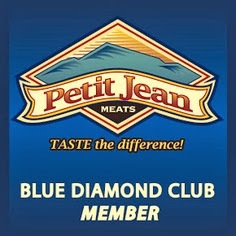 Still, why Diamond Chef? It's an opportunity to raise money to help these students and to keep the price of attending PTC's program affordable. Indeed, Pulaski Technical College Foundation executive director Ganelle Holman states the essential nature of this funding. "The money raised through Diamond Chef will benefit students at the Culinary Arts and Hospitality Management Institute (CAHMI)," she says. "The curriculum rivals that of any culinary school in the nation, yet our tuition remains dramatically lower. With accreditations from the American Culinary Federation Education Foundation and the Wine and Spirits Education Trust in London, England, CAHMI on Pulaski Tech’s south campus is a treasure trove of development and culture for our state. The building is the first LEED SILVER Certified, zero-waste facility, and it is fast becoming the program of choice for students in the region and throughout the country. Not only is support of this event a sound investment in the economic development of our state, it is also an investment in our students’ future." Oh, wait, LEED SILVER Certified? Zero-waste facility? 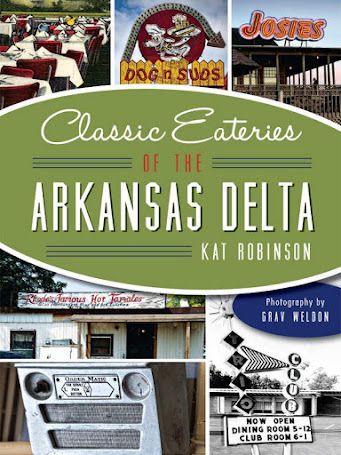 Yes... there are other cool things going on... see, once the Arkansas Culinary School flourished, there was a demonstrated need for a specialized facility for these up and coming students. It wasn't long before plans were crafted to create a new facility just for the programs. 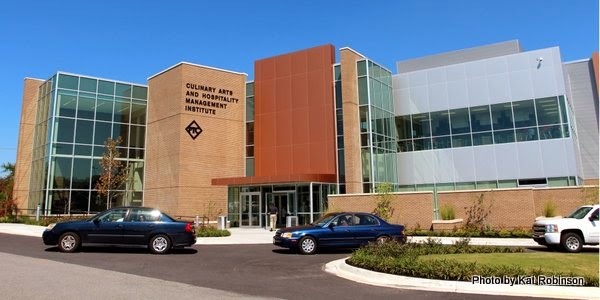 On September 24th, 2013, the new (and previously mentioned) Culinary Arts and Hospitality Management Institute was opened on the grounds of PTC's South Campus. 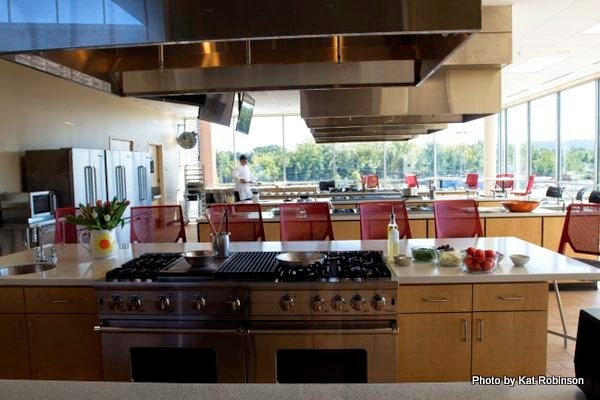 This new facility, with its multiple labs covering everything from handling meat to making martinis, is top-notch and truly does rival other cooking schools around the world for all the amazing things it offers. 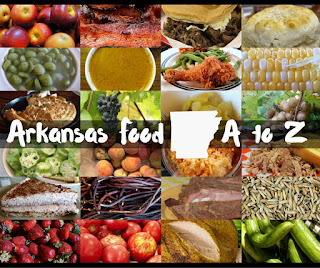 Thing is, Diamond Chef is a chance to promote the Arkansas Culinary School, to share the neat activities itself and to celebrate the students and the unique program in which they proudly participate. It's important. Not only are the two chefs who are facing off Tuesday night competing against each other... they're providing inspiration to young culinarians that may someday become the cutting edge wunderkind of Arkansas's fast-evolving food scene. It's the stuff culinary dreams are made of. 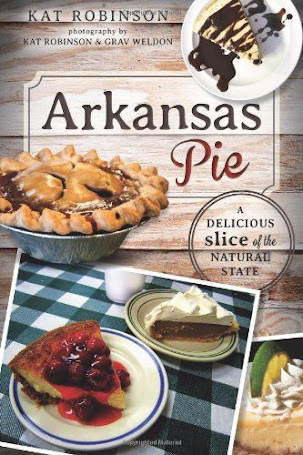 I will be in attendance; myself and several other bloggers in the Arkansas food world have been invited to attend the event on a complimentary basis in exchange for publicity about the event. I'm interested in seeing what neat challenge Chefs Daniel Capello and Marc Guizol will face. After all, octopus has already been used. For more information, click here. See you tomorrow night. Nice! I forgot to mention all the cool stuff about the facility, since I feel like I've hammered it so much over the past couple years. Great, well-rounded article. See you tomorrow night!